Swing Dancing @ Club 212 Phoenixville PA! Club 212 Phoenixville has been one of the great hot spots for area residents over the past number of years. Situated in the heart of the downtown, Club 212 Phoenixville has been one of the many factors rising Phoenixville out of the ashes! Seeing many of our Swing Kat dancers out for the Blob Fest & Blob Ball over the past years, the management of Club 212 wanted in on the action. This past Blob Fest threw them over the edge. So they sought out the only man in town they knew had the answers to what they wanted to know. That man is our own Chuck Francisco. Chuck told them he knew just the thing they needed and the rest is as they say, “History”. Interestingly enough, this is not Club 212 Phoenixville’s first dealing with Swing Kat. With a new manager the club was not aware that Swing Kat had worked with them in the past through our old salsa partners. We promoted Salsa Dance events at Club 212 for our salsa partners for a number of years awhile back. I had heard such great things about the place that when asked to join up with them I didn’t hesitate. So now you have a new place to dance all your favorite styles of swing outside of Pottstown at Club 212 Phoenixville! Though this is a new venue, you will see many of your dance friends out for this monthly event. Mark Di Lullo will be your instructor at every event & you will know your DJs too. Hope you will take advantage of this mid-week stretch and get loose! We have finally found a home for our Reading swing dance classes. After searching through over 30 places we believe we have found the best possible home for our Reading swing dance classes. That home is the Goggle Works. The Goggle Works is dedicated to bringing the arts back to downtown Reading. It just so happens that our Reading swing dance classes & dance events help them accomplish that mission! What a great fit! The talk has been to do these lessons on Thursday evenings. The Goggle works has been bringing the arts back to downtown Reading for about the last 10 years just as we have been bringing the arts of dance & live music back to Pottstown during the same years. This is a match made in Heaven! I am so glad to be working with them. We have been seeing lots of excitement over our Reading swing dance classes! Now our Swing Kats & to be Swing Kats from nearby Wyomissing, Shillington, Hamburg, Fleetwood and Oley will have a place near home to learn to swing dance! I almost gave up on doing a Reading studio about a month ago. It had just been so hard to find a place that would work for us. Then in Pottstown I found I was going to have to extend our classes to Wednesday nights as well. This is due to the great class turnouts we have been having at our home location. Well, doing Wednesdays and Thursday in Pottstown along with Mondays in West Chester & Tuesdays in Lansdale meant I had no other week nights to teach classes. However, the Goggle Works just fell into my lap. I just knew it was meant to be. But I also knew I couldn’t teach it LOL! In talking with a few of our star dancers/instructors in the past few weeks, I now believe I have someone who will work nicely for instructing our Reading swing dance classes. I will let you know who once we have finalized the details and I am sure this individual is ready and willing. But rest assured, Reading swing dance classes are just around the corner! To our West Chester area Swing Kats, it is time to celebrate! We now have a Swing Kat dance studio in West Chester PA! Our dance studio in West Chester is located near the eastern edge of town in an area ballroom dance studio. This studio is run by no other than Carlos Maldonado & Suzy Keenan. Carlos & Suzy are no strangers to Swing Kat as back in the summer of 2008 Carlos ran ballroom dance events at the Ballroom On High in a partnership with us. A few months later Carlos & Suzy opened Carousel Ballroom which is a dance venue and dance studio in West Chester! It is this dance studio in West Chester that we will be joining forces with to bring vintage swing to West Chester area residences! Carousel’s dance studio in West Chester can be found at: 319 Westtown Road, Suite P, West Chester, PA 19382. You won’t believe the beauty of this amazing studio! Carlos & Suzy have spared no expense in creating an atmosphere of style & luxury. There attention to detail has made Carousel the number one ballroom dance studio in West Chester. Adult ballroom dance classes are offered at great pricing with no pressure on students to sign big expensive contracts. While you are waiting for our vintage swing classes to get rolling in West Chester, check out Carousel and take some great ballroom dance lessons! Click Here! For more on our dance studio in West Chester, Click Here! 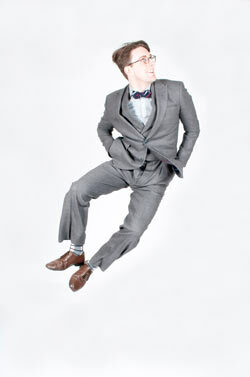 To sign-up for vintage swing dance classes in West Chester, Click Here! It appears at least for now that Swing Kat Entertainment will remain a Pottstown swing dance studio & venue. 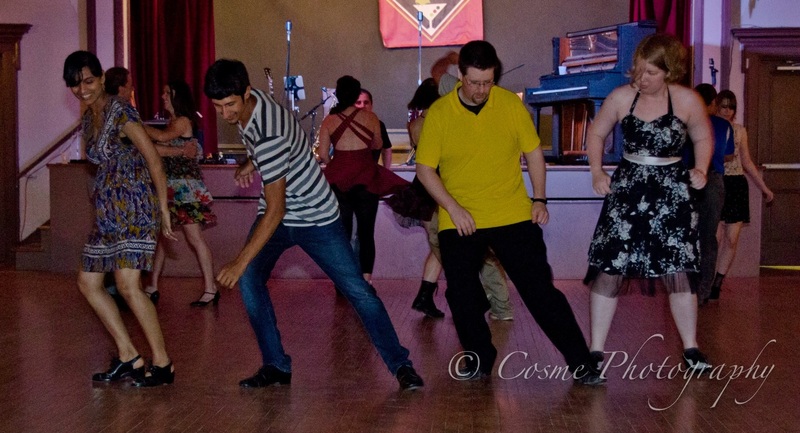 Over the past year it appeared that Swing Kat would be shutting the doors to it’s Pottstown swing dance venue and reopen in Spring City, Pa. Then more recently it appeared as though the move would be to Collegeville, PA. However, the more things change the more they remain the same. 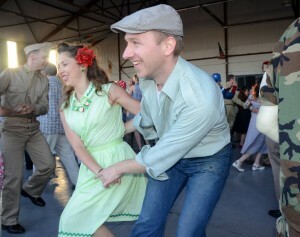 Pottstown swing dance classes & dances will indeed remain in Pottstown for the time being. Last Thursday with only a month and a half before our deadline to relocate an agreement was reached with the owner of 310 E High St for Swing Kat to remain in Pottstown. Recognize the address? Yes, the place we call the Ballroom On High, our long time home will remain our home for the foreseeable future. This means that come March 31st we will not be out on the street again searching for any little hope we can find. What I know at this point is that we will remain at our current location until at least the end of September and perhaps longer. This is not a permanent fix but a welcomed calm in the midst of a storm. Of course it makes me very happy to remain where this all started nearly 9 years ago. It has been awhile since my last update on our moving process. For the past month or more I have been trying to make a deal to put Swing Kat in Collegeville. Well, technically in Trappe PA near Collegeville. In Trappe there is a church with a decent sized hall. They have plentiful parking and it is along the main drag. The floor is supported by wood floor joists however it is topped with Linoleum floor tiles. (sigh…) This is where the trouble starts. To put Swing Kat in Collegeville or anywhere else, there are a few things on my must have list. This list includes… sufficient parking, 200-250 person capacity, great AC, moving air, hardwood flooring, a sprung floor if possible, a stage and high ceilings. This is a tall order! As I have been searching I have given in on several of these items to try and make a space work for us. However still nothing has worked and I am still searching. The church we have been dealing with is planning on redoing their floor in the next 2 years. But, we don’t have 2 years and they don’t have the money to do it now. This is why we were told by them this past week that they would not be able to take us on at this time. Though we offered to purchase hardwood for their floor the cost of removing their old flooring will be extensive due to asbestos that must be removed. In light of this deal breaker, I have offered instead to purchase flooring to lay overtop of their floors. This would cause us to be able to use the space without expense on their end. At this point I am waiting to hear if putting Swing Kat in Collegeville PA will be allowable. The answer should come next week. For many years I have told people that I did not want to make Swing Kat a non-profit. I know most vintage swing dance groups like Swing Kat are non-profit, but I always believed that if dancers cared enough about having a place to swing dance in the Pottstown area that Swing Kat would make it. I didn’t want to accept moneys from outside organizations in order to keep my hobby business going. It just never felt right to me. I just believed that the dancers would support our dancse and would support financially if needed. However what I have found in 8 1/2 years of running Swing Kat is that though our dancers support us, we still can’t get beyond state regulations concerning buildings that will be used for Assembly. Now we have been stopped time and time again due to these regulations. So though we have been successful, we will never be a success just holding dance events. For this reason I have been reconsidering my stance on non-profit status. 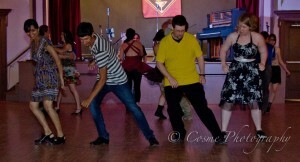 Also, for this reason Swing Kat is now more of a dance studio than a dance venue. Dance studios have the money to purchase permanent homes and don’t need expensive places that hold 250 people. I believe at this point the dance venue I always wanted will only succeed as a non-profit or if someone with deep pockets hands us a building. To this point Swing Kat has only existed due to the fact I didn’t need much to survive. Before starting Swing Kat is was very smart with my money and invested in real estate. Owning a triplex that I lived in gave me the financial flexibility to start Swing Kat and sustain it for many years. Without this setup Swing Kat would have ended years ago. However 2 years ago now I saw that Swing Kat had reach the “glass ceiling” at the Ballroom On High. I saw that things would not get any better if we continued to rent at our current location. This spurred me on into the madness that these past 2 years have been. After nearly two years of searching & thousands of dollars spent, Pottstown dance studio & dance venue Swing Kat Entertainment will have no permanent home. Our bid to relocate to Spring City PA ended Tuesday night after learning that state & borough codes would require us to erect a 240ft long by 4ft high retaining wall. In addition walking over the property a few weeks ago we discovered an under ground oil tank which is not in use. A few days ago we learned that removing this oil tank would be required prior to the bank giving us a loan. Also that no bank will give you a loan on a commercial building unless the state is satisfied with the extraction of such a tank. Lastly the cost of such an extraction would cost between roughly $12K & $58K. This high cost is due to the state EPAs regulations concerning removal of oil tanks on commercial properties. $7-8K would first be spent to have a phase 1 survey conducted before extraction begins. The reason for such a high cost is that the red tape is extensive. From there extraction can begin but if the state is still not satisfied a phase 2 survey may be required at another $7-8K. The moving of our Pottstown dance studio started in April 2013. Our goal was to keep Swing Kat in Pottstown. We started our Plan A approach by trying to get lower rent from our landlord who was over charging us for the space (second highest rate in Pottstown though we were on the 2nd floor). When that didn’t work we tried our Plan A Part 2 idea which was to get him to sell us the building. However his view of the building’s value did not match reality as he wanted $450K, about double the properties value if in move in ready condition (which it was not). So by the end of June 2013 we started looking over hundreds of commercial buildings for sale, Plan B. After endless hours searching only 6 looked promising. Five were in town and close by our Pottstown dance studio home. One was in Spring City but it was under contract to be sold. After walking through the 5 in Pottstown it became clear that only 1 would work for us. So, you may remember the drawings and information we put out on the building last summer. If not, perhaps you remember how we raised nearly $65K in pledges to purchase that building. We were on our way! Then we found out days before signing the agreement on the building that we would be required by the state to put in a $100K sprinkler system. Needless to say lots of time and money was lost in the 3 months we pursued that building. I was heart broken and had few options at that point. However we had a Plan C. That plan was to rent a place to run our classes and events as well as to ask a Pottstown dance studio doing children’s dance lessons to join us. This was a great plan! However, our business model calls for Assembly Use or a place where people are allowed to gather. Very few commercial properties have this zoning like the first building we tried to buy which is why they wanted the sprinkler system in the zoning change over. We ended up running into the same problems of sprinklers, bathroom sizes, handicap baths & access because when you change zoning (even when renting) you are required to comply with codes that no small time business man making under $30K a year can come close to complying with. So, luckily we had a Plan D to join a Pottstown dance studio for children helping them with their rent while getting lower rent for ourselves. So we found a studio in Stowe that seemed very happy to take us on. However after signing the contract in September 2013, they broke it twice in only 6 days! I gave the owner the benefit of the doubt and believing she just must not have understood and I graciously let her out of the contract. After 3 more weeks, We signed a second contract which wasn’t as good for us but would give us a place to move on January 1st when our contract would end at our Pottstown dance studio. The owner agreed to let us start construction & start moving things in around mid-November. Though we had emails proving the owner’s agreement to these terms, we didn’t feel a need to put these stipulations in the contract and for that we paid dearly. They fought us coming in and said that they didn’t see why they should have to let us come in to do the work before Christmas. I’ve got a good reason, cause they said they would. Does anyone believe in honor anymore? Long story short, after paying lawyers, signing amendments to our 2nd contract and them breaking 2 more points on the amended contract we were finally free from the madness they caused us with only 2 weeks to spare before the new year and our move out of our old Pottstown dance studio. Two weeks is not a lot of time to find a new home for a business, but luckily we had a Plan E back when we started this process & solid business connections with people who’s trust we had gained over the years due to our good reputation. So with 2 weeks to spare we tried to move all of our dance events & lessons. However we could only find a home for 2/3 of our programming. This along with the fact that Plan E involved renting spaces by the night caused us to only make $6K in the first 6 months of this year. Just 2 months into the new year, one of the 3 places we were now operating out of, the Sunnybrook Ballroom let us know that the deal wasn’t working out for them. Our contract gave me 180 days to vacate and they honored the contract. So, in February of this year I started back at Plan B and found that the Spring City building had not sold! I was excited and moved on it immediately! Well, you know how this ended. After 9-10 months, thousands of dollars, countless meeting and an education in endless state and local laws that no one should ever have to learn it all ended Tuesday. State laws have stopped us twice in this very long and expensive process which has nearly put us out of business. The uncertainty of this long process has cost us our Salsa partner (a huge loss), our 1st Friday Dance Mix, one of our Ballroom partners and countless customers. State regulations in the name of the environment, under the name of compassion and especially in the name of safety are killing small businesses like Swing Kat every day. The power that is being wielded in the name of the environment, access for the disabled and safety is killing the American dream. The dream that someone who has nothing and who has come from nothing like myself will ever have a shot at being something more than a pawn in a game of chess. Why is this happening you ask? It is because people are afraid of being sued. States and Boroughs adopt laws that leave buildings like the one I was looking at vacant and worthless so that they won’t be sued. May times old properties cannot comply with codes for new construction due to space & layout constraints. No one with money will touch these buildings and you have seen what happens to a guy who will. What about the current owners of the building? They have been trying to sell this building for 2 years. The first guy who wanted it could not buy it due to state laws and now neither could I. The owners are now being forced to auction off a building that would be worth $200K without these regulations for pennies on the dollar. Oh yes, and the owners are a non-profit club that had been supporting a young handicap man until they were no longer able to due to the state’s inconsiderate law making. The fact is that these old buildings can’t comply with the International Building Code which Pennsylvania has adopted. Thus this historic building built in 1852 with beautiful tin ceilings will likely be knocked down once sold at auction. Don’t get me wrong I am for the environment, but I fail to see how $7-$16K worth of paperwork helps. Don’t get me wrong I desire access for people with disabilities, but requiring a handicap ramp & bath on the 1st floor of this building does not give them access to the 2nd & 3rd floors where we are DANCING. At the point we start to actually use the 1st floor space in the building (in 4 years from now when the EPA lifts it’s band on EDU’s in Spring City) then make us put in the ramp & bath as getting to the first floor would then actually be helpful. Don’t get me wrong, I am for safety, but requiring a 240ft retaining wall so someone’s car door doesn’t swing into the car next to it accidently, or a 14ft wide one way drive when cars are 6ft wide, or a 24ft wide two way drive, or a sprinkler system in a building that has more than sufficient exits, or being told to tear out a beautiful historic staircase because current codes don’t allow people walk on winding staircase at their own risk anymore. Apparently people can no longer navigate them. Have we gone mad? At this point the Swing Kat that has been will be getting a serious face lift as we enter into Plan F. Yes, there was a Plan F. I started on Plan F in the beginning of this year as I didn’t trust things would just work out anymore. Plan F was to cut back on the number of dances we run in our Pottstown dance studio area & start becoming more of a regional dance studio. We are now teaching in Pottstown, Allentown and Lansdale. The shame is that what we have built in the past 8 years is now mostly loss. In the past year I have practically been starting a new business under the same name. I keep thinking how great it would be to have some HGTV show come and rescue us by fixing up the building and handing us the keys. Or some person with more money than they knew what to do with would come buy, fix and hand it over for the good of all. All I ever wanted was a place where I and others could dance near home. Now due to all the debt I am in and all the time I have invested, I have no choice but to make the new Swing Kat work or I will lose the past 8 years of my life. I would like to say thanks to the great state of Pennsylvania who’s codes took a building worth $200K, made it worth nothing, let me spend $10k and then told me I’d have to spend $200K more if I wanted their blessing to use it. There has got to be a better way. UPDATE: 12/12/2014 This just in, the dance studio in Stowe that kept dishonoring their agreements with us closed. This info was just given to me by one of our dancers. I just tried the studio website & it is TRUE! The owner broke contract with us 4 times, broke 2 verbal agreements and then sued us, took us to court, lied under oath and even falsified 2 documents. In the 6 months that followed we made only $6K due to the damage this one person caused. Her case was thrown out, but so was our counter suit. The judge told me we lost our count suit because I still had the key to her place. I was holding the key so that should would give me back my $2,500. deposit. I never got it back… This is one person I am glad is out of business so that she can’t do this to another small business owner! She put me through H….! Thank God her dishonest dealings are over.